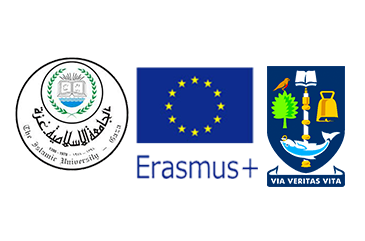 The External Relations Department at the Islamic University of Gaza (IUG) announces the availability of 24 International Credit Mobility Opportunities for IUG Bachelor and Master students with University of Glasgow in the UK under the EU-funded Erasmus Plus- International Credit Mobility Project. 2. Faculty of Engineering, including all its departments. 3. Faculty of Science, including all its departments. Note: Academic Exchange opportunities are going to be announced soon for the students of Faculty of Information Technology. 1. The applicant should be currently a regular student in IUG studying any of the aforementioned majors. 3. For Bachelor Students: The applicant should have successfully completed 35 credit hours at least, and his/her remaining hours should not be less than 30. 4. For MA Students: The applicant should have successfully completed 6 credit hours at least, and his/her remaining hours should not be less than 9, excluding the credit hours of complimentary dissertation. If the applicant cannot provide any, he/she should take English Language level test in the Deanship of Community Services and Continuing Education, and his/her score should be 9 at least. 5. Interview in English for those who are initially pre-selected. 6. Filling in the learning agreement, which includes all the courses the applicant will study in the University of Glasgow, and the equivalent courses that will be recognized in IUG. 1. The courses that the applicant studies and successfully completes in the University of Glasgow will be fully recognized with equivalent courses from the study plan of the student at IUG, which should be listed in the learning agreement. The learning agreement should be agreed on and approved (previously) by the head of the academic department the student belongs to and also by the External Relations in IUG. 2. Priority will be given to master students according to the terms of the agreement with the University of Glasgow.